Antonis Diamantidis addresses the Greek crisis through his work with food and farming. 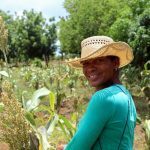 He is a member of an informal collective of agroecological farmers building a community united by the food they grow, eat and sell. Greek farming has failed to provide healthy and diverse sustenance for the country’s population while at the same time protecting soils, water and biodiversity for future generations. Causes of this failure are many – lack of political will, European farming subsidies, increased mechanisation, the systematic eradication of traditional seed varieties, export oriented production, complete lack of educational support for farmers and a large urban population that is mostly oblivious to the quality and origin of its food – to name a few. Five years of financial colonisation have made farming in Greece ever more difficult, creating the biggest threat to the resilience of our food system. Over the last two years we have gone through 48 amendments to the tax system! Taxes on land, water, electricity, transport and communication have all increased. Land grabbing by foreign multinationals, cheap imported food and decimated incomes all undermine the work of farmers. 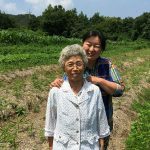 At Corinthian Orchard we are addressing this crisis by working through food and farming. 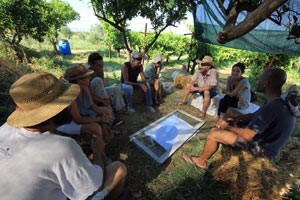 We are an informal network of young and old agroecological farmers. We collectively grow and market grapes, oranges, lemons, mandarins, apricots, figs, pomegranates, wheat, vegetables and herbs. We also produce lemonade, grape syrup, resins, sundried tomatoes, tomato sauce, herbal tinctures and more. By cultivating and healing the land we cultivate and heal ourselves. Respect for the people, respect for the Earth and fair distribution of the surplus and abundance the Earth provides are the ethical principles that brought us together. We are united by action based on reflection and wanting to transform our reality. We work the land and experiment together, we believe that every plant and animal under our care deserves to be given the conditions to reach its potential. We keep, use and exchange traditional varieties of seeds, an action considered illegal in most of Europe. We try to meet with the people that eat our produce to build connections, trust and to exchange knowledge. To achieve this we created a community supported agriculture scheme where 17 farmers provide 30 families in Athens with fresh, local vegetables and fruit all year round. 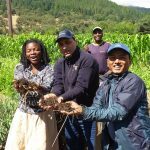 We also participate in organic farmers, markets, the no-intermediary food movement and many other initiatives supporting agroecology. We would like to make an open call to all readers: meet the people that grow your food! Save from growing your own, this is the best way to start reconnecting with yourself, your food, the land, its people and nature…. And when in doubt, smile. Antonis Diamantidis is a young farmer and a member of Corinthian Orchard.